Hose Burst Valve | Tucson Hydrocontrols Pvt. Ltd. 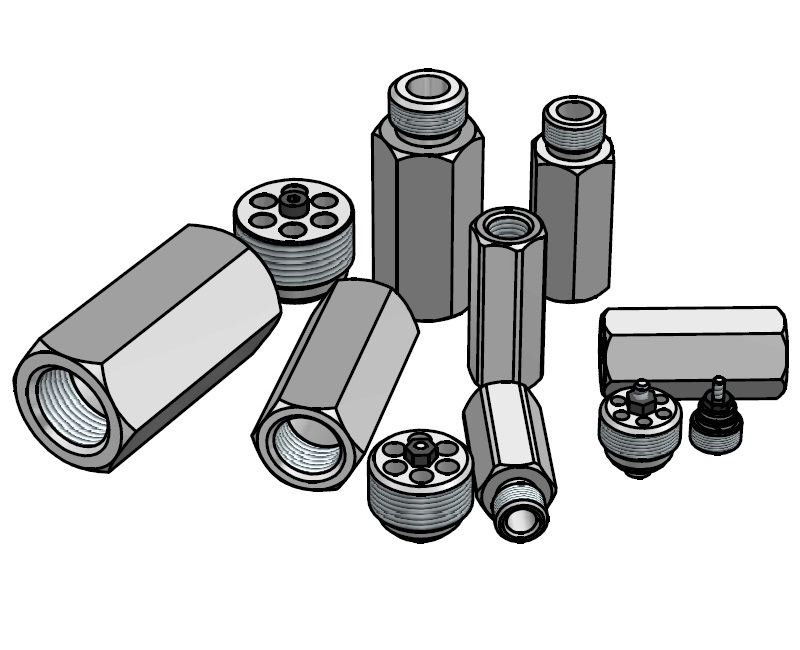 Hose Burst Valves or Velocity Fuses are used to prevent the uncontrolled descent of a load in the event of a hose failure. They should be screwed directly into the lifting device (normally a cylinder), or into an in-line manifold that should be mounted as close as possible to the lifting device. A shut off valve should be fitted between the hose burst valve and the cylinder to lower it in case of hose burst. The valve disk is held apart from the body with a spring fitted over the central stem of the valve. Apart from a small pressure drop, fluid can flow freely in the direction from Port 1 to Port 2. When fluid is flowing in the reverse direction, from Port 2 to Port 1, if the flow rate exceeds the valve setting (see dimension 'T' and adjacent graph), the valve disk will snap shut and close the ports of the valve. Line mounted bodies available for easy installation. 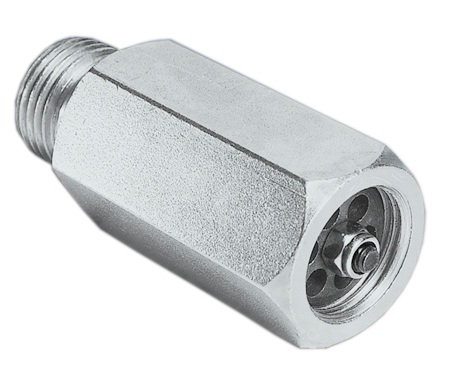 Cartridge body available for mounting directly onto the cylinder. Extremely sensitive to flow fluctuations.